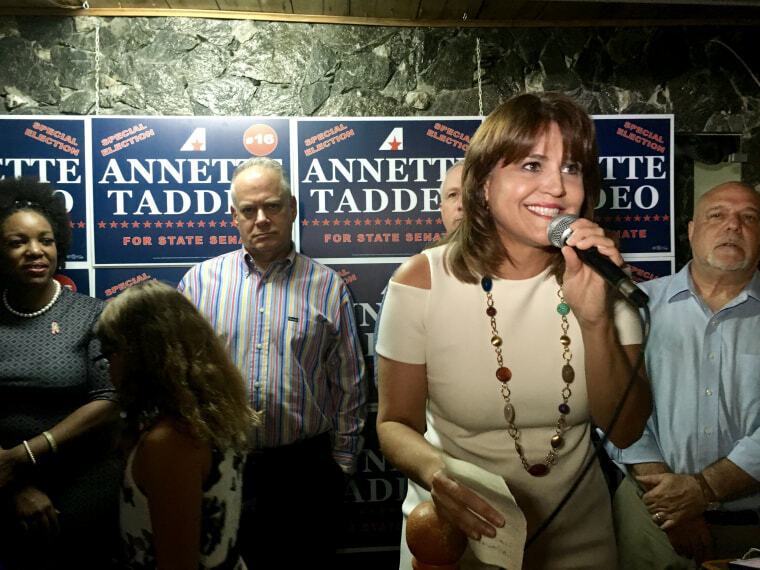 WASHINGTON — Florida elected its first Latina Democratic state senator, Annette Taddeo, in a special election victory that gives Democrats a legislative seat held by Republicans and reflects the shift in political alliances among Florida Latinos. Taddeo, born in Colombia, defeated Republican Jose Felix Diaz, a former contestant of “The Apprentice,” the reality TV show that starred President Donald Trump before he won the White House. Independent Christian Schlaerth also was on the ballot. “The voters of SD-40 recognized Annette Taddeo’s longstanding commitment to her community and deep understanding of the challenges facing working families across South Florida,” said Cristóbal Alex, president of the Latino Victory Fund, which works to elect Democrat and progressive Latino candidates. Although the Miami-area district is majority Latino, the partisan split of its electorate is nearly even, while about a third of the district’s electorate is unaffiliated or aligned with another party. For years Florida has been seeing a loosening of the Republican hold on the state's Latino population, largely Cuban Americans. Young Cuban Americans have been more willing to shift allegiances, meanwhile the numbers of Latinos of other backgrounds in the state, such as Puerto Ricans, have increased with many aligning with the Democratic party or choosing to be unaffiliated. 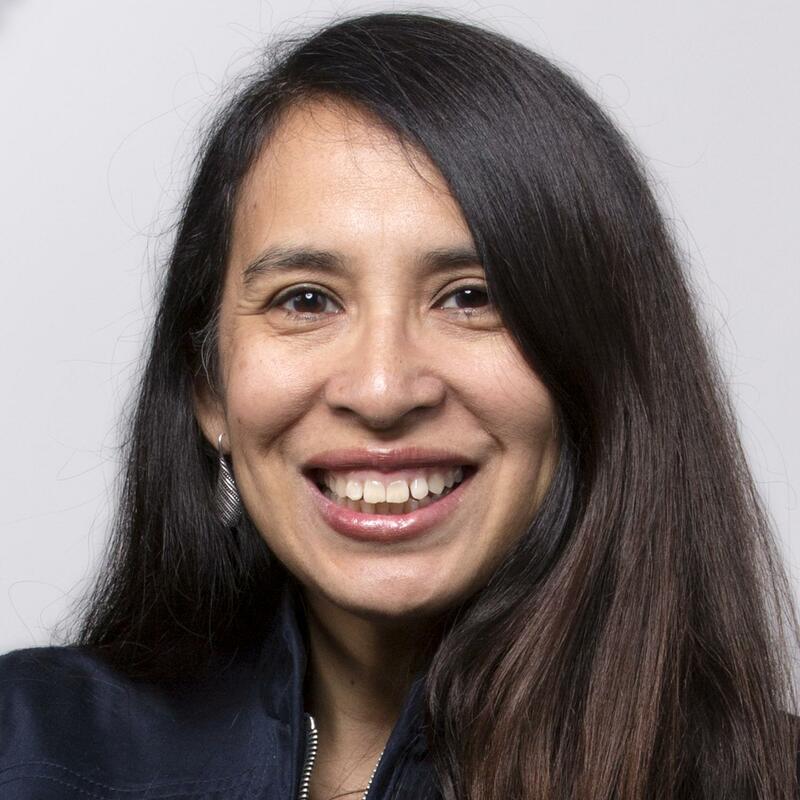 Mayra Macías, Latino Victory Fund political director, said 49.4 percent of the Latino population is of Cuban descent and the non-Cuban Latino population is 50.5 percent. Politico reported that more than $6 million was spent on the entire election, with estimates of $3.5 million spent by Republicans and $3 million by Democrats. Some are interpreting the race as a rejection of Trump and his policies. Hillary Clinton won the district in 2016. “The mere fact that Diaz spent in excess of $2 million during his primary to Annette’s $65,000 sends a clear message that the GOP’s allegiance to Trump over the over the country has consequences,” said Albert Morales, political director for Latino Decisions polling firm. Republicans remain in the majority in the Florida Senate. The election saw about a 15 percent turnout in the district where 67.3 percent of the registered voters are Latino. There had been some concern that Hurricane Irma might affect turnout. At one point, the candidates suspended their campaigning because of the hurricane. The election was called after its Republican incumbent Frank Artiles used a racial epithet to describe African American colleagues and other expletives against other colleagues. Macías said Taddeo’s campaign included spending time in the district’s African American community, along with the significant campaigning she did at grassroots Latino events. Taddeo was forced to defend herself against attacks painting her as a communist and a supporter of the Revolutionary Armed Forces of Columbia, FARC, an armed rebel group in Colombia that has since become a political party after striking a peace deal with the government, according to Macías. To blunt the attack, she responded with a radio ad featuring her mother saying that Taddeo’s father had been kidnapped by the FARC, which forced the family to flee Colombia. Taddeo had twice sought election to Congress and was unsuccessful. In 2014, she was running mate to Charlie Crist in his failed bid for Florida governor.